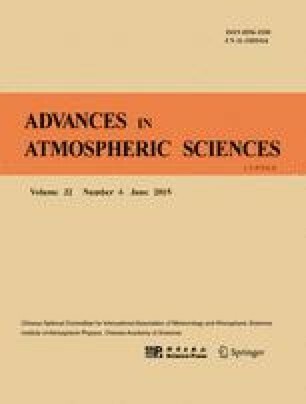 The reproducibility and future changes of the onset of the Asian summer monsoon were analyzed based on the simulations and projections under the Representative Concentration Pathways (RCP) scenario in which anthropogenic emissions continue to rise throughout the 21st century (i.e. RCP8.5) by all realizations from four Chinese models that participated in the Coupled Model Intercomparison Project Phase 5 (CMIP5). Delayed onset of the monsoon over the Arabian Sea was evident in all simulations for present-day climate, which was associated with a too weak simulation of the low-level Somali jet in May. A consistent advanced onset of the monsoon was found only over the Arabian Sea in the projections, where the advanced onset of the monsoon was accompanied by an increase of rainfall and an anomalous anticyclone over the northern Indian Ocean. In all the models except FGOALS-g2, the enhanced low-level Somali jet transported more water vapor to the Arabian Sea, whereas in FGOALS-g2 the enhanced rainfall was determined more by the increased wind convergence. Furthermore, and again in all models except FGOALS-g2, the equatorial SST warming, with maximum increase over the eastern Pacific, enhanced convection in the central West Pacific and reduced convection over the eastern Indian Ocean and Maritime Continent region, which drove the anomalous anticyclonic circulation over the western Indian Ocean. In contrast, in FGOALS-g2, there was minimal (near-zero) warming of projected SST in the central equatorial Pacific, with decreased convection in the central West Pacific and enhanced convection over the Maritime Continent. The broader-scale differences among the models across the Pacific were related to both the differences in the projected SST pattern and in the present-day simulations.